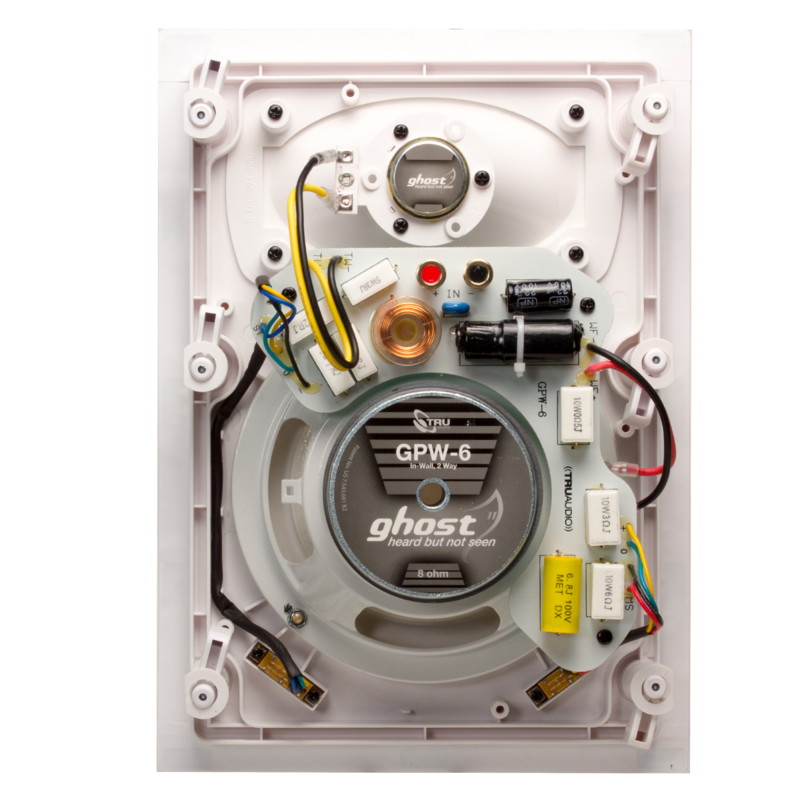 Ghost Series™ 2-way in-wall speaker, 6.5'' white polypropylene woofer, 1" soft silk dome tweeter, 5-100 watt, 8Ω. Sold Each. The all white 2-way in-wall speaker is designed and built to provide fine audio at the most competitive pricing on the face of the earth. 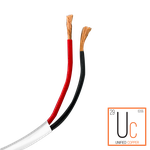 The high-grade crossover utilizes oxygen-free copper inductors, high watt ceramic resistors, and audiophile capacitors improving acoustic reproduction. 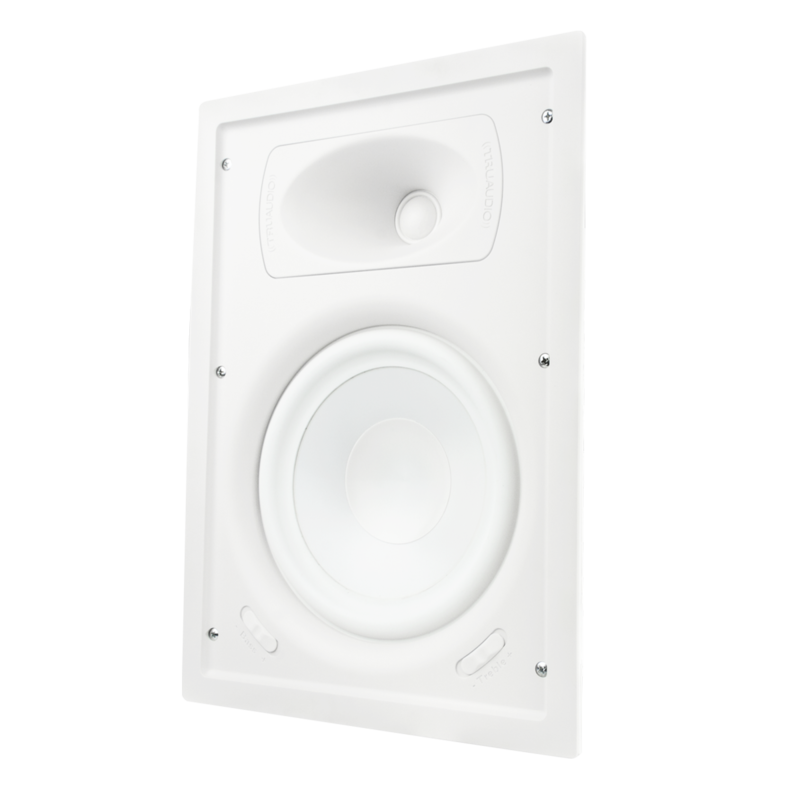 The white polypropylene woofer is highly damped and lossy, resulting in a smoother high frequency roll-off, reduced beaming and exceeding at mid frequencies. The GPW-6 has two wave-guide cones. 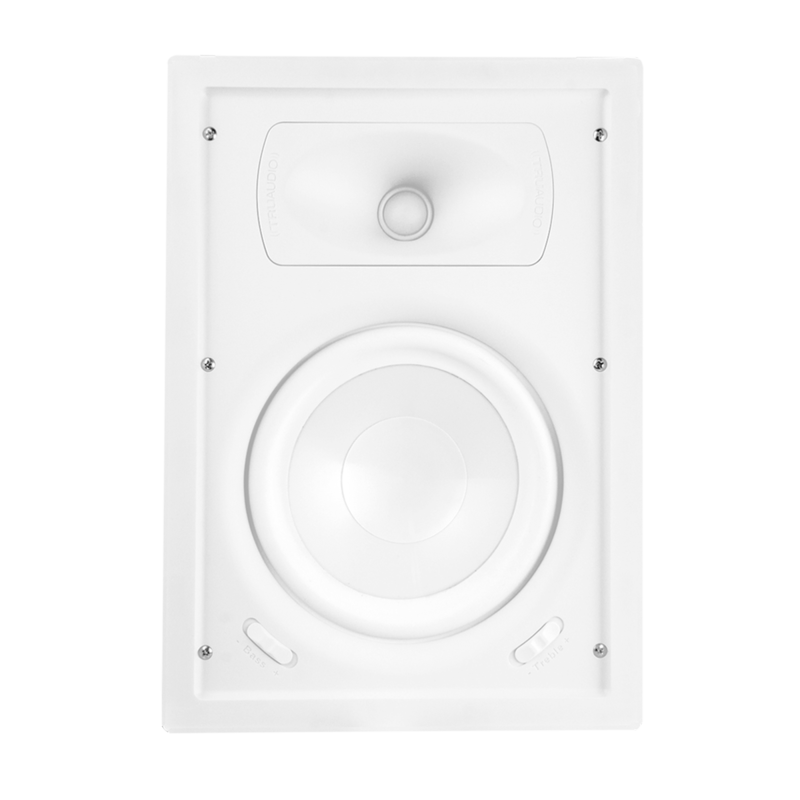 One straight for standard installations, and another 22°, giving installers the flexibility and the option of directing the sound of the 1” soft silk dome tweeter to fit any room. Speaker equalization adjustments make precision tuning effortless. 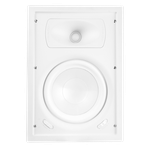 Ghost Series™ speakers include a patented 2-millimeter reveal magnetic frameless grill. 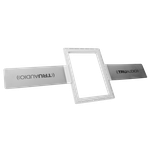 The rimless grill attaches easily and covers the lip. 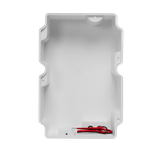 Once installed, no part of the speaker shows except for the grill, having the speaker virtually disappear into the installation environment. Making the speaker a true labor and time saver. Frequency Response 45 - 20k Hz.